When you're a guy from Big Valley, a tiny town in Alberta with a population of 350 people, looking up at the packed grandstands of AT&T Stadium during the finals of RFD-TV's The American is as big as it gets. 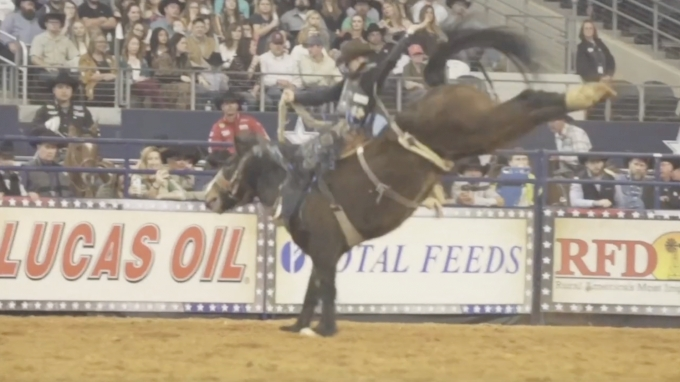 Watch Zeke Thurston compete at The American LIVE on FloRodeo Feb. 23 to March 3, 2019. Zeke Thurston, the 2016 World Saddle Bronc Riding Champion, has accomplished many feats for a "small town cowboy," including winning multiple Calgary Stampede titles and the Rodeo Houston championship, and the possibility of winning the title at The American feels like completing a triple crown to him. Sign up for a PRO subscription by clicking HERE.